The service provided by Wedding Glass is called “The Crystals of Love”, which has a nice ring to it, but it’s essentially the bride and groom walking on broken glass towards each other, as the guests look on. The ritual is apparently a metaphor for married life, with the moments prior to taking the first step on the glass shards representing the present moment, and the small space at the end of the glass trail representing the life that the newlyweds want to build together, their life project. 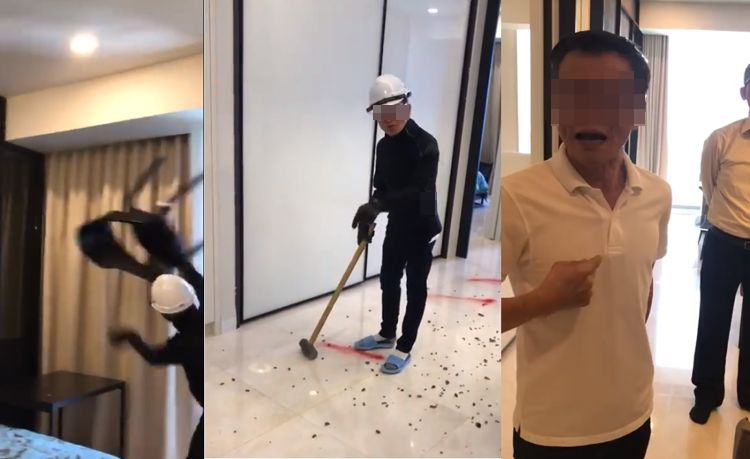 The two sections of broken glass that the couple have to traverse in order to reach their mutual goal represents the fears, challenges and hardships that they will have to overcome during their marriage. The ritual ends with a loving embrace that symbolizes the strong love between the newlyweds. Completing “The Crystals of Love” ritual apparently raises the confidence of the couple in their ability to overcome whatever life throws at them, together. “As we walk down the path, we have to stare into the eyes of our partner and feel the strength and passion of the commitment we seal today, the day of our wedding. Every step we take has to be firm and secure. As we move along the path of the crystals of love we will realize that together we are able to overcome all the difficulties and adversities that life presents us,” the Wedding Glass website states. 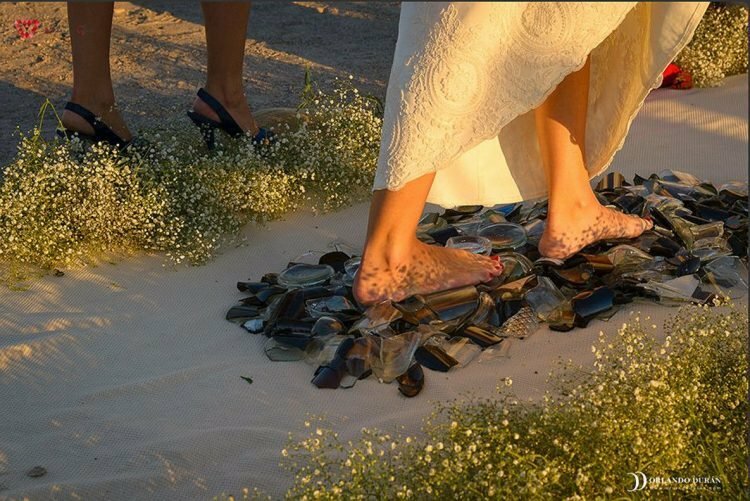 It’s an interesting concept, but walking barefoot on broken glass can be a daunting task, so Wedding Glass offers training sessions prior to the wedding day ritual, to ensure both that the newlyweds don’t hurt themselves on their big day, and that they have the right attitude when walking on the glass. “Trusting yourself and your partner is essential for a relationship to work, which is why the ritual of the crystals of love is accompanied by a previous training where we practice the ritual in a fun way, with sessions of coaching, emotional intelligence and Neurolinguistic programming, to gain this confidence and the conviction that ‘Together, everything is possible,'” Wedding Glass says. Walking on broken glass is a nice metaphor, but for a more accurate representation of married life, I would have gone with walking on hot embers, instead. Glass might cut you, or it might not, but with embers, you definitely feel the heat, no matter what you do.